| a heartful & energetic foundation inspired by yoga, design and world citizenship to stretch the happiness of modern you. 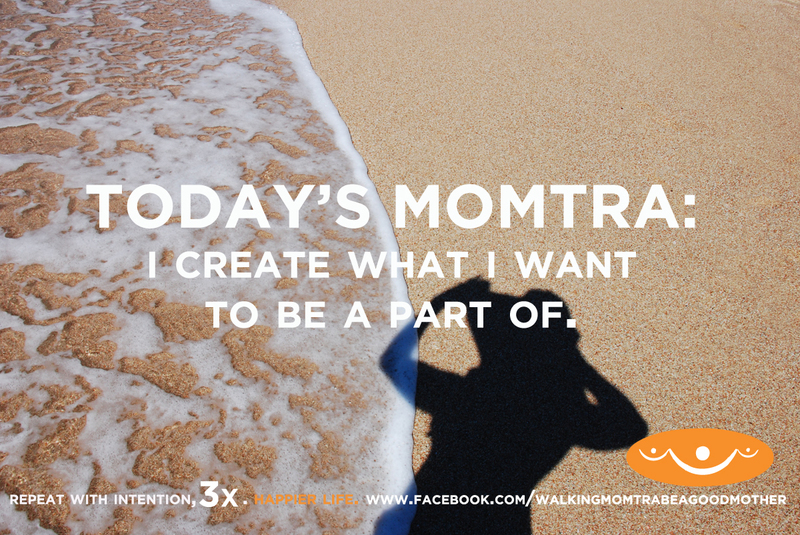 Walking Momtra: making mindfulness talk fun. a heartful & energetic foundation inspired by yoga, design and world citizenship to stretch the happiness of modern you. 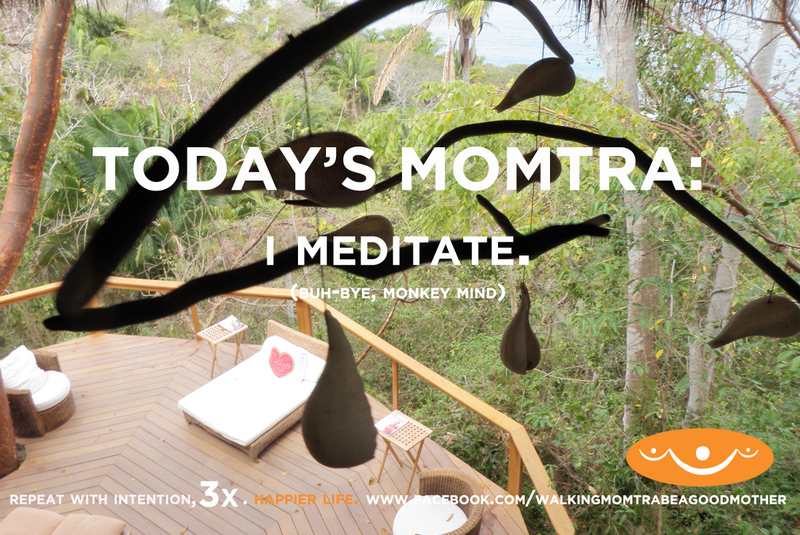 Walking Momtra: making mindfulness talk fun. How to be a Walking Momtra™? MOMTRAS, Be green, Re-use these daily. What is a Momtra and how do I recite one? Meditation can be as simple as five minutes of stillness and conscious breathing. Yes, it’s true. You can now roam about the planet. Come join us on The Walking Momtra Show as it continues this Monday, January 28th at 9:15am Pacific! Can’t wait to do some mental yoga with you on-air! [Today’s Momtra] Water doesn’t resist, it just flows. I love talking about water because it’s a great example of how we can let go, accept (with grace) and even get rid of the aches and pains. Holding on doesn’t help us…it tears us further from happiness. Be the water. Be happier. A photo from my family to yours! For those of you (us) who celebrated Hannukah, I hope it was a de-LIGHT-ful one. For those of you (us) who celebrate Christmas, may it be warm and wonderful. To all…may your New Year’s success be embarrassingly good! Meditation = waking up at least 15-20 minutes before the house does and sitting quietly for at least 10 minutes reflecting on how you want the day to go. That’s “it.” And that’s a great start. Today’s Momtra: I DIG and DID myself a kindess (repeat 3x). TODAY’S MOMTRA: I DIG and DID myself a kindness (repeat 3x). Suffering from severe post-partum depression and deciding to try my first down-dog, I met my medicine. I breathed deeper in my first practice than I had in almost a year. I had been beating myself up since I had given birth. I shouldn’t be feeling this way, I’m doing this or that WRONG, my child is losing because of me, etc. etc. But the more I released into how hard the practices were on my physical body, the more I flowed in and out of class to my gorgeous imperfection. It was through this love affair with yoga that I opened myself to the teachings of “ahimsa” or non-harming. Loving leaders like Gandhi and Martin Luther King based their lives on this idea. As a loving leader with my own eight-pound “cause” I thought I needed to take ahimsa in as well and not harbor ill will…towards myself. Because anti-bullying is not always about standing up to others. It can be about standing up to yourself and getting in control of your narrative. And that’s what I realized on the mat ~ that I could never pass happiness on to my child unless I gave it to myself first. It had to start with me. I got control of my narrative by creating “Momtras”. Heard of mantras? The phrases you repeat to focus your mind on what you want to bring into your life? Well, Momtras are the same thing just focused on helping you be the Mom you want to be. I created these fruitful phrases and realized quickly they were helping me do a very important thing: chase negative thoughts with more positive ones. “It’s like a kindness system,” I thought. What’s now a tattered, seven-year-old piece of cardstock holds the Momtras that helped me focus my compassion. They still live in my wallet as a loving reminder of the seasons of life and my perfect imperfection. Because to say that we as Mothers and leaders are perfect is a myth. The truth is: Motherhood is a practice. And we lead best when we channel our inner guru. We hold power in our thoughts. We can choose those that bully, or those that BEAM and cheerlead us the entire way, through it all. 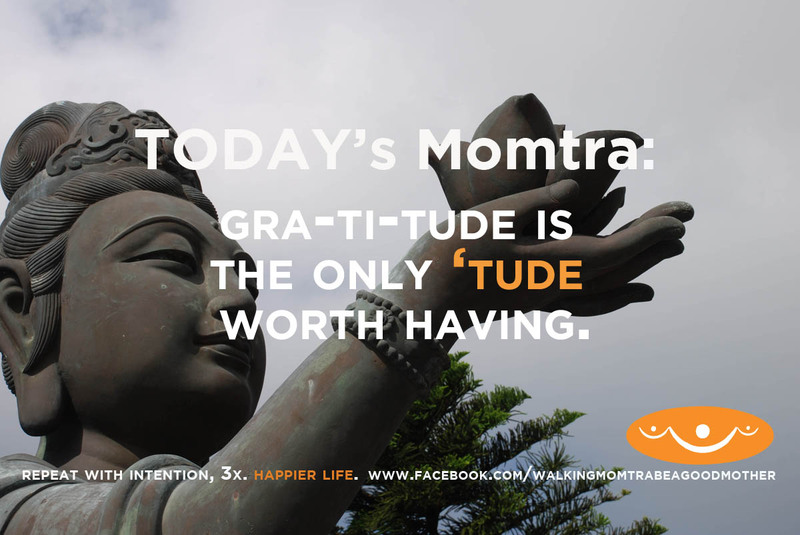 Today, my kindness campaign continues and as a “Walking Momtra” I choose thoughts with a focus on what I need to bring into the present moment. It’s from this base that I can then affect the happiness of everyone I love. 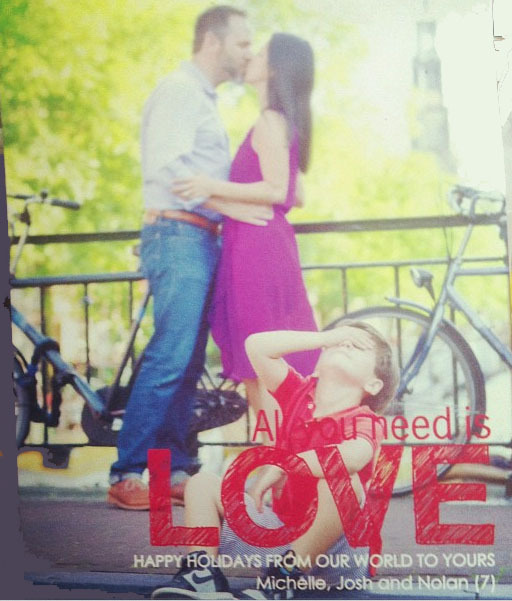 In digging deep, I found a self-love that continues to bring me and my family tremendous joy. 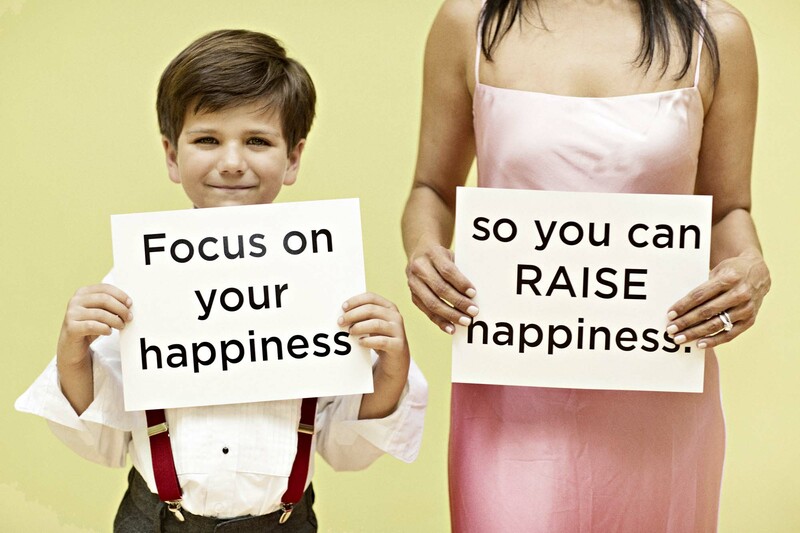 I focus on my happiness so I can RAISE happiness (repeat 3x). Karen Salmansohn is on a mission to stop the trend of bullying and make kindness trendy. You can find out more about her mission on Karen’s Happy Kid’s page on her site www.notsalmon.com. Plus, you can join Karen’s Kindness mission by becoming a Kindness Rockstar Ambassador – just click here http://bit.ly/RSEwjZ. Happy Thanksgiving to our friends in the US and to those outside of the US….be well! Why you? better yet ~ Why NOT you? Enjoy your business, enjoy your life. This was written especially for the women who just completed my group course (www.michelleghilotti.com). Thank yourselves for the spirit, drive and dedication you showed throughout these six weeks! It was a powerful way to show up for your life, your vision and your goals. I have such gratitude for each of you. 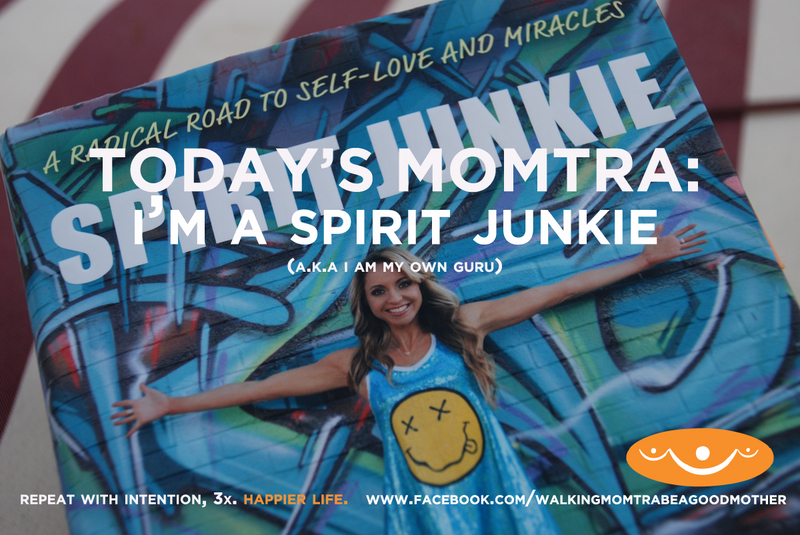 I’m a spirit junkie. Simple as that.